Solid results with a unique design and custom build at a low budget. 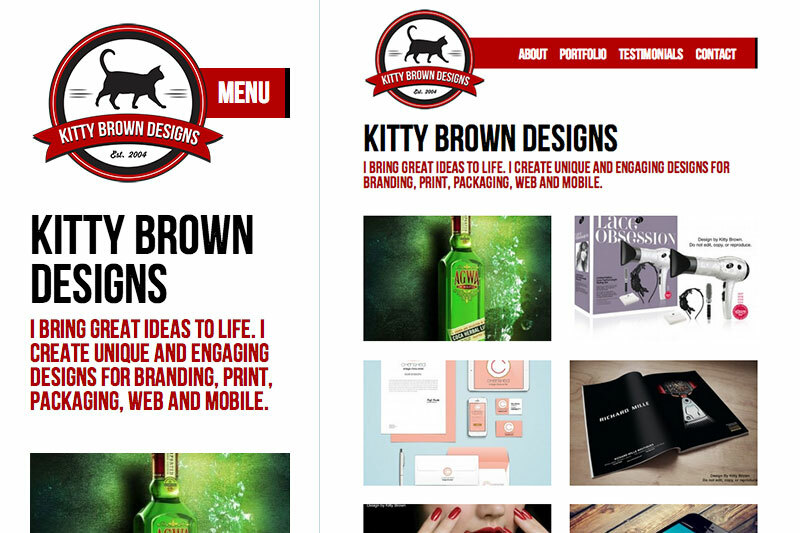 Kitty Brown was referred to me and needed a unique yet inexpensive portfolio site for her design work. Existing WordPress templates weren’t going to cut it. This provided the opportunity for me to create a very basic and clean design that looked sophisticated but could be developed quickly. 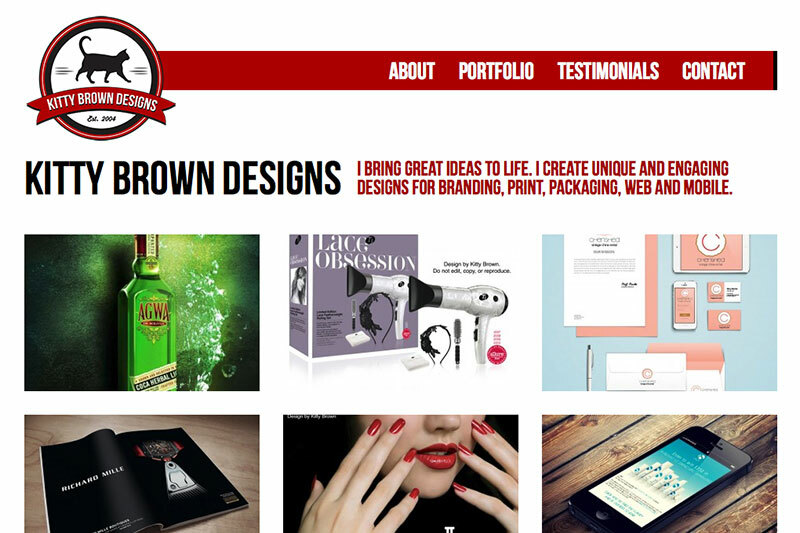 With the desktop design complete I developed the site to be fully responsive with breakpoints for tablet and mobile as well as the portrait and landscape states on mobile devices.